Weekly or Monthly matches, organised and sanctioned by UWE. Participated by a pool of volunteering players who hunger for exciting, tense, evenly matched games with high levels of co-ordination and teamwork, but do not quite play at the competitive level. Players may opt in to join The War on the side of the Frontiersmen or the Kharaa, at least for the duration of each Campaign Season, and so for that period, as long as they are playing Campaign games, they have a persistent online group identity. They might be drafted by Captains or placed in a system that compares their skill levels from regular games. They can socialise and bond with other fellow marines or aliens. They can see their contributions towards their side recorded by the Campaign System. They will see their deeds immortalised in Campaign reports. They might get a permanent icon next to their names (military rankings for marines, all sorts of cool stuff for aliens) when they play in regular games. This will be like clan matches for the rest of us. The groups that would be formed would be of a bigger in scale than competitive clans, probably less tightly knit, less organised and more casual. But this would give everyone such an important thing: a sense of belonging to something bigger than us. If UWE are creative enough they could even start writing a persistent story that is affected by the conclusion of each Campaign game. It would finally provide them an opportunity to fully flesh out the Lore of Natural Selection 2 in an exciting interactive way that everyone can participate in. UWE's motto is "uniting the world through play", no? Think of the social potential this could unleash for NS2's popularity! Campaign games could be broadcast, you could get a HLTV system going on with spectators like in NS1 (if thats technically possible). The possibilities are awesome! edit to clarify why this will make NS2 bigger: This will effectively be NS2's answer to "persistence" in other games. It will provide a direct incentive for people to keep playing, remain invested and perhaps even cheer for their side when spectating. Now every level in the NS2 galaxy is a certain map. Aliens push south, marines push north. For the 'in between worlds' we can use the maps we have now. I guess both teams need a 'home world' map as the Grand Final / Last Stand of every campaign session. Maybe aliens could have a super big oversized Mother Hive in theirs, Marines defend a mega powernode-like structure which provides power to their capital city (or whatever). Not sure how this would be organised.. Maybe all people signed up for a side in the War get a notification msg when a game is starting up? Regular play days and times? Or just a non-stop fight like Planetside? Yes that's exactly what I was envisioning. 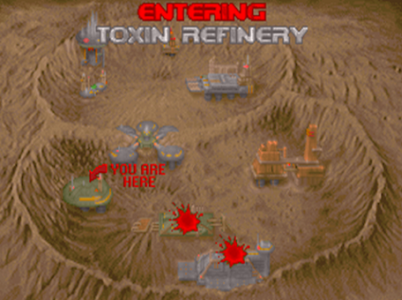 There could be like a "war map" set up where each in-game map is represented by a location on this war map - I recall the idea that every in-game map represented a unique location in an industrial complex. As for organisation and attendance, there's really a lot of ways this could be done. You could essentially have a pool of players that is larger than the actual number of players that attend each session, to make up for no-shows. Essentially like guilds during a WOW raid - some people get benched and watch from the side-lines perhaps? Or maybe the benched people get a free mac / drifter to micro? Sounds like an expanded persistent form of Red Orchestra 2's campaign multiplayer. In Ro2 campaign multiplayer you join a team, and play with that team for the duration of the campaign. People are allowed to drop in and out at any point in time. Both teams start with a map screen where whichever side has the most combat power (determined by previous battles and maps captured) dictates the map they are attacking. Combat power for both teams affects their reinforcements and determines their position when entering into a map. After the conclusion of a battle the map is either captured or defended by one team and the cycle continues until all maps have been captured. The main map is made up of a bunch of smaller groups of maps, so it's possible that you can attack different submaps to capture a strategic area. This means you have a choice in maps, so if your team isn't particularly strong on a combined arms centered map you could choose the one that is infantry only. The thing about this type of campaign mode is that there needs to be some resource, or upgrade or something worth controlling that forces teams to make strategic decisions rather than just blindly choosing maps. In RO2 the resources is combat power, in Command and Conquer you would get different units, or an opportunity to soften up harder maps later on in the campaign.